The yard had its “soft opening” with full service by Summer. The eastbound service is scheduled to run 6 days per week according to the schedule. rr503 wrote: Per Trains News Wire, the new IM facility at Greenville is open. It seems NS has added some shuttles from Harrisburg to serve it (elsewhere it was said symbols were 242 and 243). Anything on the CSX side? Edit: downloaded the public NS IM schedules, and there are indeed references to trains 242/243 going to/from "null, NJ." I take it this is Greenville, but it has yet to be programmed into the NS system. Trains seem to run M/W/F in both directions. 242 will run Su/Tu/Th from HBG, carry NYCT and GCT. So these trains will run HBG-Erail and a CR local will break up for distribution to Staten Island and G'ville? Yes YPPN08 already takes the NS and CSX IM cars for Staten Island over, nothing changes here. 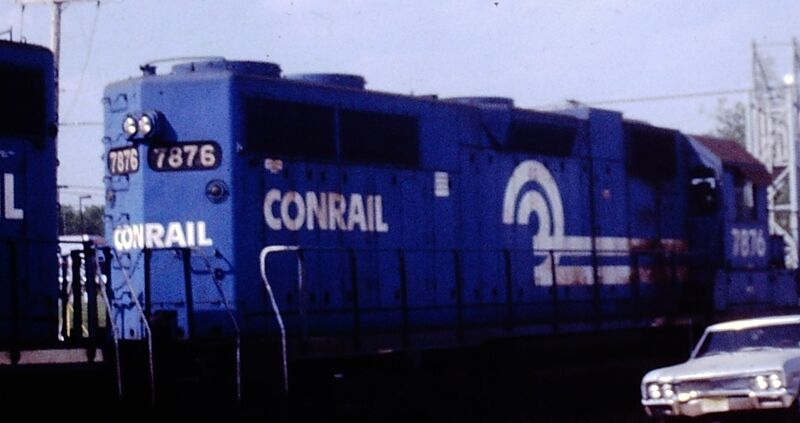 For now at least, Conrail will take the NS and CSX IM cars over to Greenville.